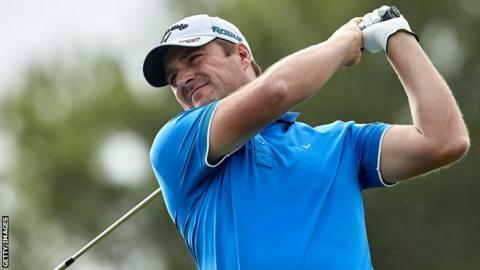 Scot Marc Warren, a regular on the European Tour since 2006 during which time his ranking has dropped to 130, has retained his European Tour card for a 14th consecutive year after coming through six rounds of the Qualifying School in Spain. The 37-year-old shot a two-under-par round of 69 at the Lumine Golf Club in Tarragona, today to finish 17- under-par overall. That left him 19th, with the top 25 earning their cards for the new season, which starts in a fortnight. Fellow Scot Duncan Stewart from Grantown on Spey agonisingly missed out on his card by a single shot. Stewart, 34, carded a three-under 68 to finish on 15 under in joint-28th, with those 16 under and better all qualifying. Connor Syme, who has just completed his first year on the Tour, and Craig Ross finished on 10 under and nine under respectively to also miss out. Warren will join nine other Scots on the European Tour next season. Russell Knox, Stephen Gallacher, Scott Jamieson, David Drysdale and Richie Ramsay all retained their cards this year, while Grant Forrest, Liam Johnston, Robert MacIntyre and David Law qualified via the Challenge Tour.